Searching for affordable Shopify product data entry services? to you based on the needs of your business. Thinking about opening an e-store? Shopify is the right platform to start selling online. Shopify allows you to customize storefront, organize products, track and respond orders, accept credit card payments with just a few clicks. 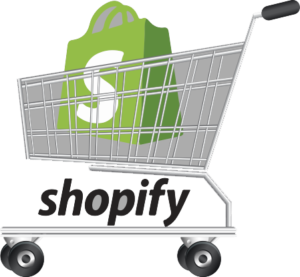 Though it is easy to set up a store on this platform, Shopify product uploading is a cumbersome task. Clear and alluring images attract visitors and prompt them to buy your products. Ace eComm has a pool of talented image editors who will retouch the images of your products and remove undesirable background elements. What’s more, our image editors will crop, resize, mask your products’ images abiding the Shopify product image guidelines. Our Shopify product image enhancing service will keep image editing in line with Shopify product image naming conventions. Our content writers have long experience in Shopify product description writing. They will write unique, feature-rich, SEO-friendly product description for your products. What’s more, our expert will organize your products in categories and subcategories depending on the products’ prices, sizes, styles or any others as recommended by you. Our experienced Shopify SEO experts will optimize your e-store by creating SEO-friendly meta tags, keyword rich meta description, search engine oriented URLs. At Ace eComm, we are an expert in making the best use of Shopify Upsell and Cross-sell features for the optimum benefits of our clients.